Today I'm spotlighting Judy from The Weight of My World! Judy used to be a runner a long time ago...and is now currently starting to run again! She has just recently lost 35 pounds as of October 2013. She has also completed the Best Damn Race 10K and 5K challenge since writing this! Keep reading to learn more about her! The first time I started running back in the early 90’s was to get in shape and lose weight. On September 1, 2013, I created a personal renewal to reclaim my health and fitness. I call it my comeback, a restart, to beat my thyroid disease and to get in shape and lose weight again. 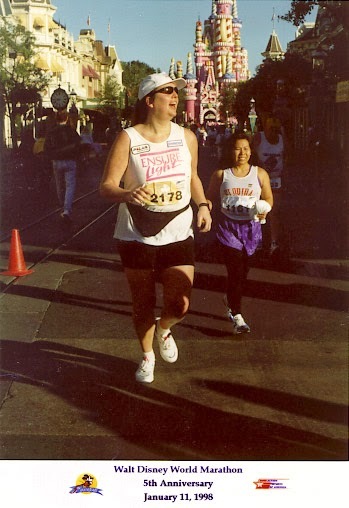 Disney Marathon, my first one in 1998. 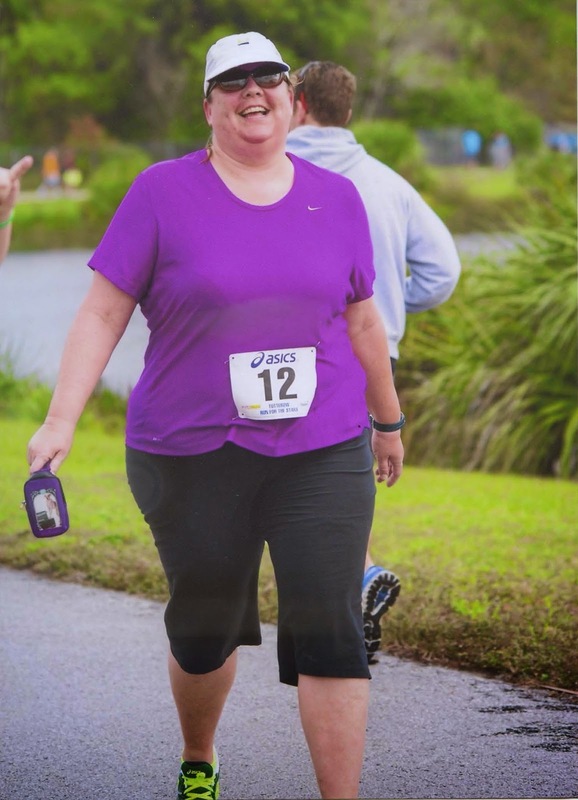 To now see the current photo from an event 5K last month from the first event I have done in over seven years... I have work to do to find that runner in me again. I have enjoyed all running distances. Since I am coming off the couch, the 5K is my choice. I do have a plan for longer events distance as I build up to them in 2014, even a marathon. I get up early, make sure to get in breakfast. I like to review the morning details, directions loaded in GPS, take a look at the course map. Since I don’t work out or race with headphones, I have created my pre race drive playlist to get myself race ready. Polar Heart Rate Monitor. It was the first tech piece I purchased when I started exercising back in the early 90’s. Now all these years later, I have a new one that has so many new features to keep me track. I follow my simple motto, “eat less, move more” that I wrote about in my book in 2000, “You Don’t Have to be Thin to Win.” I do better with moderation than restrictions. I wish I would have learned to never stop running and get out of shape. I am certainly learning a lot on my return to running. It is taking a lot of time as I have lost all fitness over the past 7 years of not being active. I am learning to walk again before I can run. My sister had a quilt made for me with all the shirts for my events I did. It brought back so many great memories of all the races I have done. 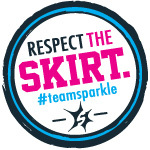 But when it comes to new memories, it was watching the thousands of women cross the finish line at an Iron Girl event I developed and managed for 10 years. My dog has been a canine fashion model for years. Here are all the different ways you can connect with Judy! Thanks so much for sharing with us Judy!